Here I am working the jib for Stephon Marbury's talk show "Stars on Stars." 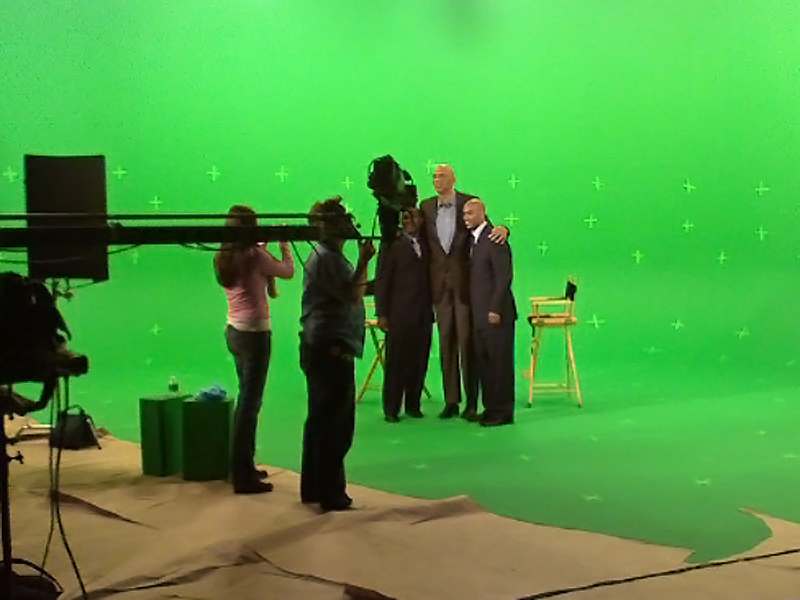 That's one of the show's producers and Stephon posing for a photo with Kareem Abdul Jabar. This interview was totally cool-- did you know he was in an unfinished movie with Bruce Lee?